Developed from one of the industry’s most diverse germplasm pools, NK hybrids and varieties are outperforming competitors. The 2018 Professional Farm Manager of the Year goes to a 40-year veteran of the agriculture industry. A Syngenta scientist is named a Future Giant of the Seed Industry for his demonstrated potential to help shape the industry’s future. Axial Bold delivers improved consistency and broad-spectrum control of top grass weeds. 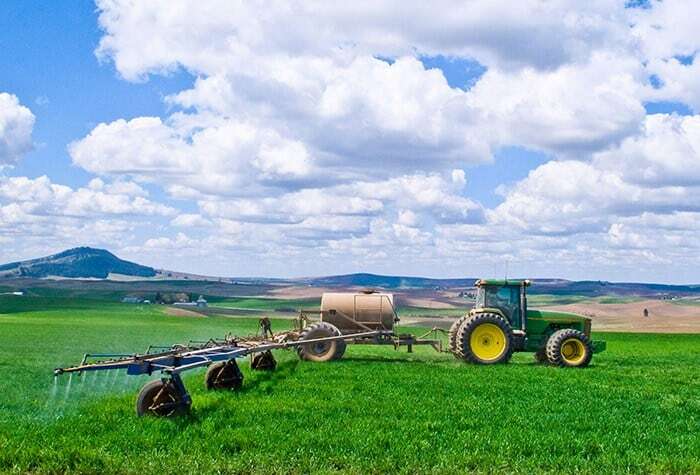 A grower sprays winter wheat to control weeds in the Palouse region of Washington state. Axial Bold, a new cereals herbicide from @SyngentaUS, delivers improved consistency and broad-spectrum control of top grass weeds. Syngenta has received registration of Axial® Bold grass herbicide from the U.S. Environmental Protection Agency for use in the 2019 growing season, giving wheat and barley growers a new option for superior grass control. Trials show that with its two active ingredients—pinoxaden and fenoxaprop—Axial Bold delivers improved consistency and broad-spectrum control of top grass weeds, including wild oat, yellow foxtail, Italian ryegrass, green foxtail and barnyardgrass. Gramoxone Magnum premix herbicide delivers fast-acting residual burndown of emerged weeds. In season three, Syngenta celebrates the next generation of women #RootedinAg. In an era of rising costs, Syngenta is committed to providing the products and services growers and resellers need to maximize their success. The Syngenta agronomy blog provides the latest insights on crops, growing regions and agronomic topics. AgriEdge Excelsior is a whole-farm management program that helps Syngenta customers maximize and sustain their return on investment. Thrive is a news magazine and website produced for a nationwide agricultural audience. Its purposes are to update readers on Syngenta products, services and solutions, and to provide them with the information they need to succeed in today's complex marketplace. Important: Always read and follow label instructions. Some products may not be registered for sale or use in all states or counties. Please check with your local extension service to ensure registration status. AAtrex 4L, AAtrex Nine-O, Acuron, Agri-Flex, Agri-Mek 0.15EC, Agri-Mek SC, Avicta 500FS, Avicta Duo Corn, Avicta Complete Beans 500, Avicta Complete Corn 250, Avicta Complete Corn 500, Avicta Duo Cotton, Besiege, Bicep II Magnum, Bicep II Magnum FC, Bicep Lite II Magnum, Callisto Xtra, Curacron, Cyclone Star, Denim, Endigo ZC, Endigo ZCX, Epi-Mek 0.15EC, Expert, Force 3G, Force CS, Gramoxone Inteon, Gramoxone SL, Gramoxone SL 2.0, Karate with Zeon Technology, Karate EC, Lexar, Lexar EZ, Lumax, Lumax EZ, Medal II AT, Medal II ATZ, Proclaim, Voliam Xpress, Warrior II with Zeon Technology, Warrior with Zeon Technology and Zephyr are Restricted Use Pesticides.